Below you can view all the homes for sale in the St Andrews subdivision located in Winston Georgia. Listings in St Andrews are updated daily from data we receive from the Atlanta multiple listing service. To learn more about any of these homes or to receive custom notifications when a new property is listed for sale in St Andrews, give us a call at 404-998-4114. Come Home To This Beautifully Established South Douglas Home! 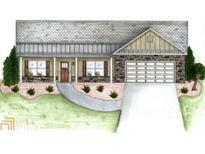 MLS#6537580. The Realty Group. Vaulted Ceiling In Living Room W/Wood Beams. Huge Basement! MLS#6525320. Bhgre Metro Brokers. Builder Pays 2,500 & Lender Will Pay 1,500 Toward Closing Costs W Preferred Lender Caliber Home Loan Cynthia Hall MLS#8485076. The Nestwell Group. Builder Will Pay 2,500 & Lender 1,500 Towards Cc With Use Of Builders Preferred Lender. Usda And Fha Ok. MLS#8485037. The Nestwell Group. Builder Will Pay 2,500 & Lender 1,500 Towards Cc With Use Of Builders Preferred Lender. Usda And Fha Ok. MLS#8483517. The Nestwell Group.